Kyle’s Pancake. Your choice of syrup – maple or honey? My big boy is learning how to cook pancakes. I actually helped him prepare the mixture and pour the initial batter to the pan. He’s so excited that he hums and jokingly stamps his feet. This boy is funny sometimes. He passed his pancake cooking initiation test and now exited to try cooking some simple dish. We’ll see about that. 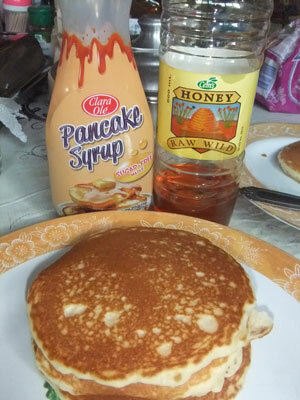 This entry was posted in Cooking and tagged pancake, pancake cooking on March 27, 2013 by Yami. 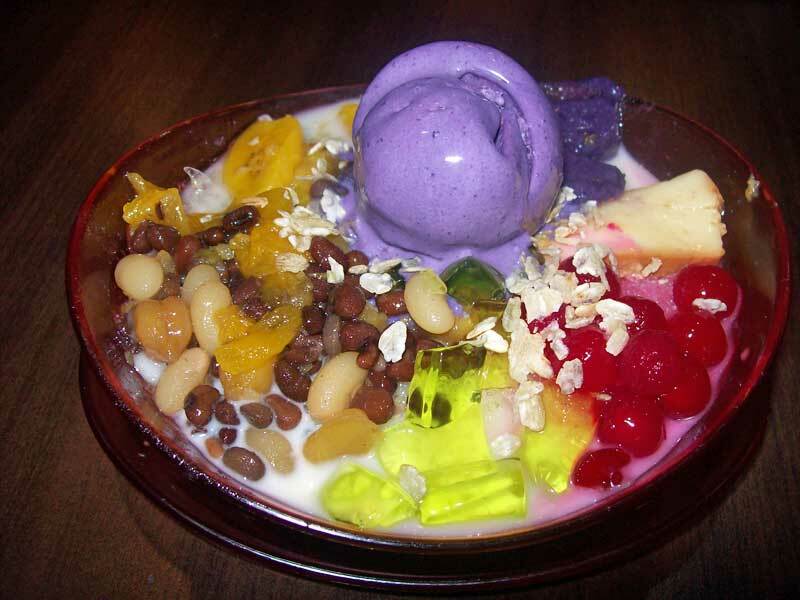 This entry was posted in Dessert and tagged halo-halo, summer cooler on March 18, 2013 by Yami.